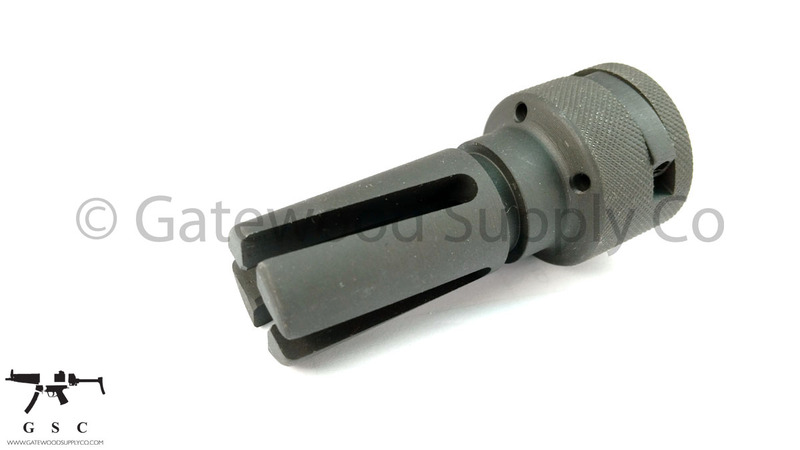 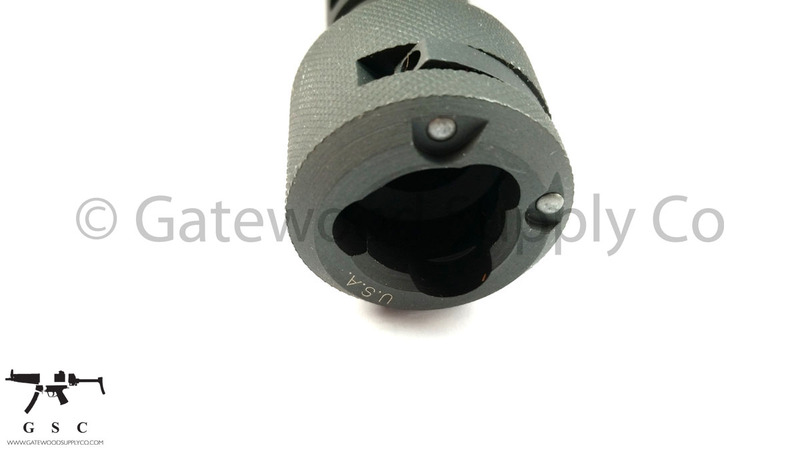 This listing is for a US made MP5 9mm flash hider. 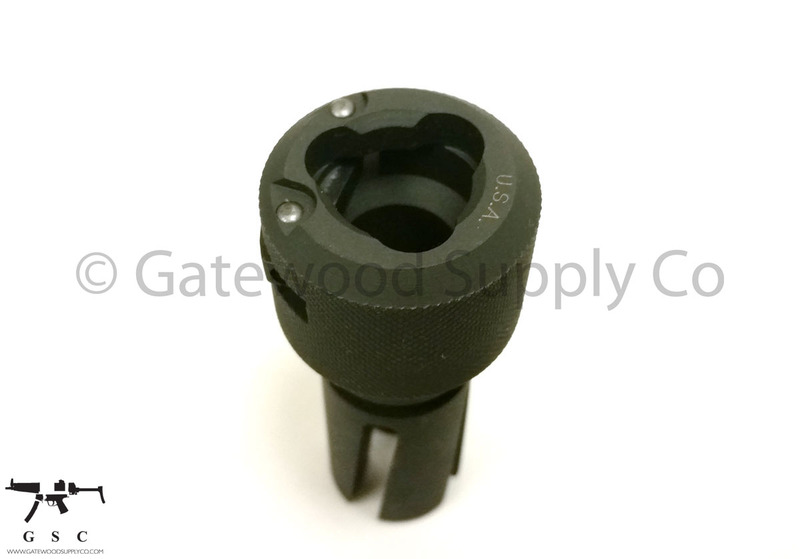 This part is made for the HK MP5 / MP5K tri-lug mount and is compatible with all 9mm tri-lug mounting platforms so it can also be used with other non-HK platforms. 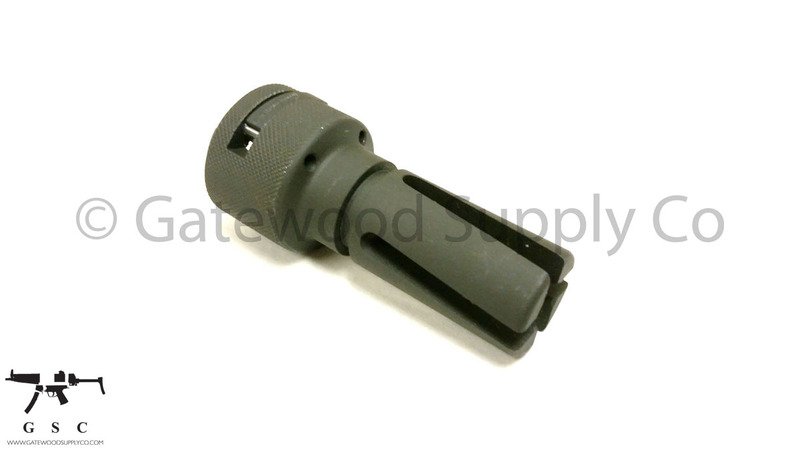 Please note that this flash hider will not fit a weapon when used in conjunction with some Surefire 628 handguards.